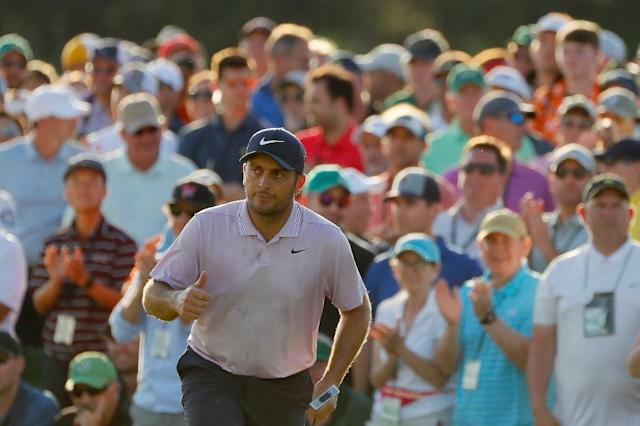 Augusta (United States) (AFP) - Francesco Molinari fired a flawless six-under par 66 on Saturday, seizing a two stroke lead over Tiger Woods and Tony Finau in a thrilling Masters third round at Augusta National. After birdies at six and eight, he erupted with four straight birdies starting at the par-three 12th -- where his tee shot left him inches from the pin. 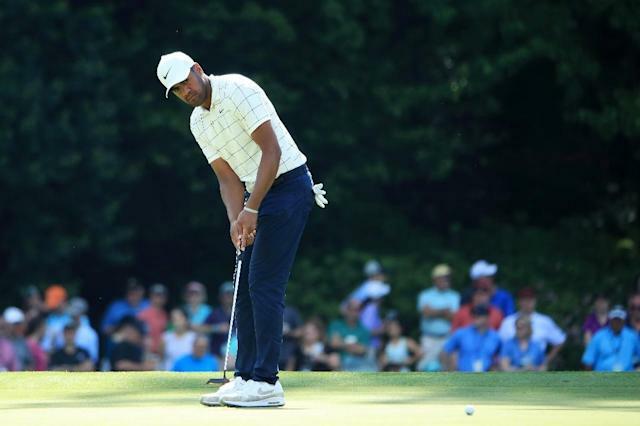 He methodically rolled in putts of six, eight and nine feet to birdie the next three -- and maintained his two-shot edge by getting up and down for par from a bunker at 18. "I played the back nine probably as good as I've ever played over here," Molinari said. "So nice to keep another clean scorecard." "I had a pretty good number," he said of his second shot. "I hit a really good shot, but I didn't think it was going to be, you know, a foot from the hole." 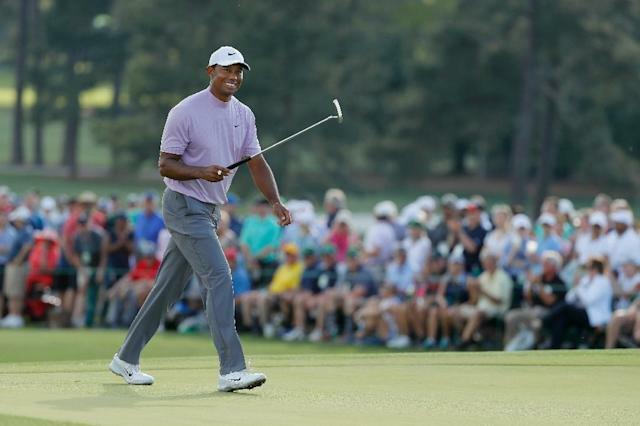 Two more birdies coming in put him in a "dream" final group with Woods and Molinari -- after Augusta National officials announced the final round would be played in threesomes from both the first and 10th tees, starting early in a bid to beat severe weather predicted for the afternoon. "There's a lot of guys playing great," Molinari said. "I wish I had only to worry about him but I think there's a lot more guys with a chance.